For many people, the notion of their love is perfectly captured by the idea of lovebirds but there are many different types of love and there are many different types of birds. For some couples, getting married is the smartest thing that they will do and when it comes to the smartest birds, you will find that owls hold that lofty position. This is why the Hoot wedding invitation from Ivy Ellen is the ideal invitation for couples who are making the smartest decision of their life in getting married. This stylish and amusing wedding invitation provides a touch of humour to your wedding invitation but still retains a sense of class and style. The invitation is printed on to the finest heavyweight bridal white board and is accompanied with coordinating pearlescent envelopes. 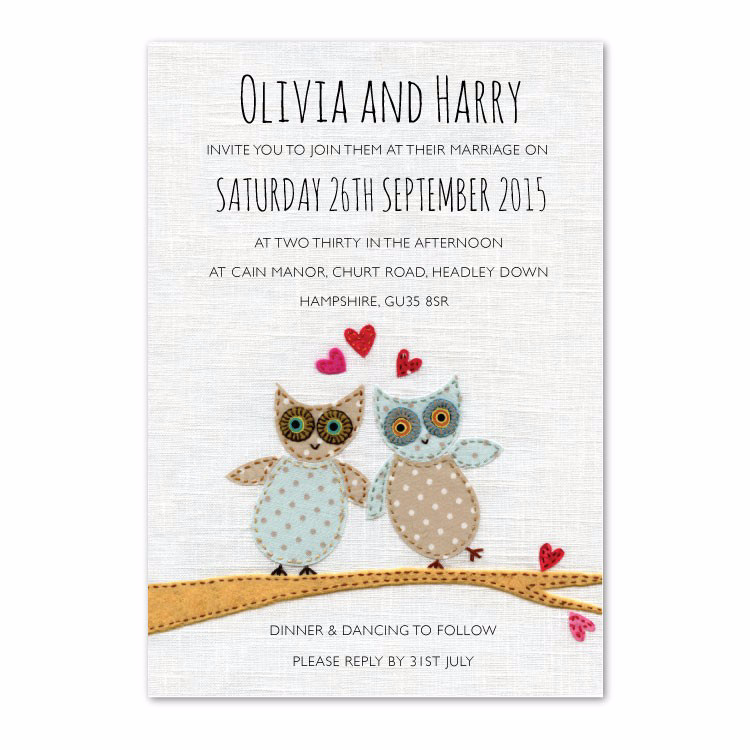 The owls give the impression of being hand-stitched; adding a personalised feel to the card. A very effective look which Ivy Ellen have used to brilliant effect on many greeting card designs at their sister company Blue Eyed Sun. The content can be customised to ensure that your guests are fully informed with everything that they need to know for the special occasion. With a number of additional cards available in a matching style, this is the ideal choice for all of your wedding stationery. You may not think that owls are the natural choice to celebrate your love and inform guests of your forthcoming wedding, but there is a great deal to be said for the design and style of this card. 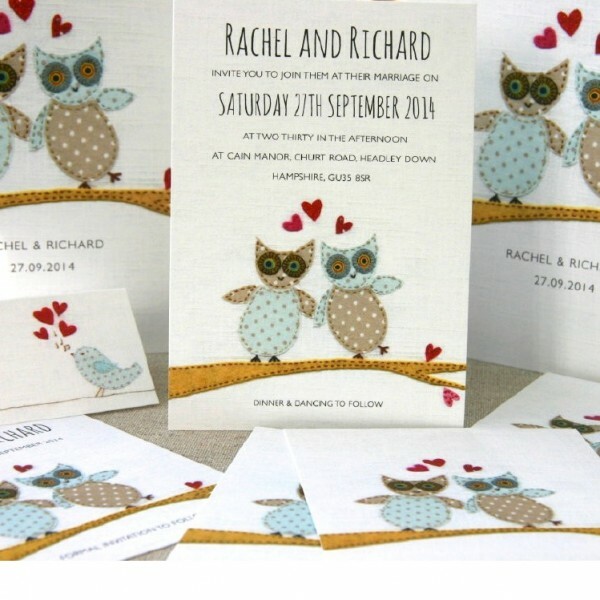 For couples who know that they are making the most intelligent and informed decision of their life, the Hoot Wedding invitation is the perfect way to spread their good news.